The consequences of a conviction for DUI (Driving Under the Influence) in Washington State can be steep including the loss of your driving privileges, substantial fines, and incarceration. As a knowledgeable and experienced DUI Defense Attorney, I can work with you to uphold your rights and minimize these consequences. It is important to work with a DUI Lawyer as early as possible in your case to ensure the best chance of success. When you are the driver of a car pulled over by an officer you naturally will be nervous because the “light of suspicion” is shining on you. Hand the officer three things: your driver’s license (or identification if you don’t have one), your proof of vehicle registration, and your proof of insurance. Do not discuss or comment on those items or answer any questions. Remain silent. I know this is difficult. But you have the right to remain silent and you should if you want to avoid providing evidence against yourself. If you have even had one drink, you likely have an odor of alcohol. Higher alcohol consumption may produce slurred speech. If you open your mouth (literally by speaking), the officer is likely to smell alcohol or hear slurred speech and this may trigger a full DUI investigation and/or contribute to probable cause to arrest you. The officer will try very hard to get you chatting by small talk questions, authoritative or threatening comments, etc. Don’t take the bait! Decline the portable or Preliminary Breath Test (PBT) because it is also voluntary and officers are allowed to rely on it to build probable cause to arrest you. Here, I’m talking about the hand-held devices officers carry in the patrol cars to use at the roadside. Don’t be discouraged if you did these things you didn’t have to do. Most people do them too simply because they don’t know their rights! These are tips for the future and to share. 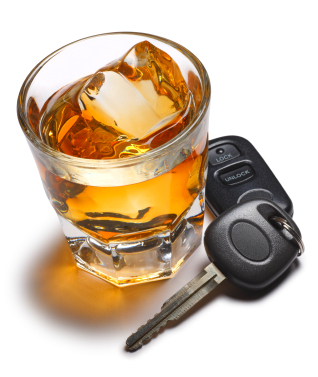 You should have an experienced DUI Attorney evaluate your case. Even when drivers have done these voluntary things, there are often very good DUI defenses. Following these recommendations is no guarantee you will avoid arrest or prosecution, but you will definitely be better off. Do comply with the officer’s requests to do basic things like, “get out of the car,” “sit on the curb or bumper,” etc. If you are arrested, do not resist, and do not speak except to ask for a lawyer. In the vast majority of DUI cases, the Department of Licensing will commence a license suspension process based on the fact you were arrested. This is independent of what may happen in court. You have the right to fight that suspension if you secure your right to a hearing by mailing in $375 and the hearing request form the officer should have given you. Current law requires you to do this within 20 days of your arrest. I will fight for you to keep your license at the D.O.L. hearing in addition to representing you at court. To speak with a dedicated Defense Lawyer and DUI Attorney, call (360) 493-2600. I can guide you through the legal process and answer any questions that you might have.